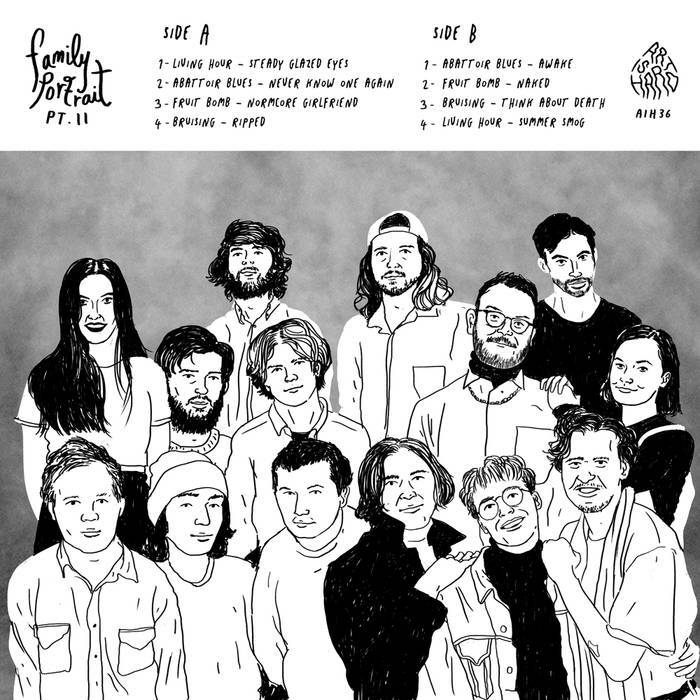 Back in 2012 we released a four way split featuring Joanna Gruesome, Playlounge, Keel Her and Gum .. we christened it Family Portrait with the idea of gathering together four bands that shared a similar ethic for a debut vinyl release. Three years on and the rest, as they say, was hiss'ory. We're now ready to announce pt. II and have carefully chosen another four great bands, put them on vinyl for the first time and are very excited to see where they might go from here. Our new friends and family members are Bruising, Fruit Bomb, Living Hour and Abattoir Blues.